Google Maps for Android has been updated to version 7, bringing a refreshed UI to the application. The update also levels the playing field with the iOS version of Google Maps. Version 7 of Google Maps comes with a visible floating search bar on top of the screen, which allows you to quickly type in a destination address so that you can access the navigation feature. Speaking of the navigation feature, it has been enhanced to add "dynamic rerouting," and live traffic updates. Now that Google has purchased crowd-sourced traffic app Waze, this is one area of Google Maps that we expect to see continually improved. Google adds that the update will bring with it a new way to "browse and discover popular local places to eat, drink, shop, play and sleep." There is also a new design for phones and tablets including the elimination of the bottom bar. The tools you used from the bottom bar are now options in a drawer on the left that uses a tab to slide out. 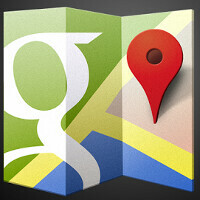 To access version 7.0 of Google Maps, you need to be running Android version 4.0.3 or higher. If your Android device is running an older version of the OS, there is a website listed on the Google Play Store which will explain what options are open to you. Meanwhile, offline maps and Latitude are now gone. The Google Maps update is at the Google Play Store, waiting for your arrival. The new UI looks great but there is a learning curve. It took me a little bit to figure out how to avoid toll roads in navigation (press back, tap the car icon and select route options) they really should have put it under maps settings as a permanent option. is it me or do it see people talking to themselves ? You have to type "OK maps" in the search bar for offline maps. Wow, if you don't know this, no more off-line maps. btw it works but you can only cache a small area at a time. Also 'OK Maps Clear' phrase reset/clears cache data. Wait, why did they take off offline maps? It's vector based so it doesn't kill too much. With that said, a pity they removed it, although it was a bit pointless without POIs. They should bring back those offline maps. So will latitude be a stand alone app like it was way back, or is it just gone? I use latitude. It seems you can get some of the offline functionality back by typing "OK MAPS” in search field. This indicates they had to remove offline maps for some reason (not finished development) and they'll include it later on once everything is ironed out. EDIT: Oh and Latitude is confirmed to be retired by google. EDIT2: this is the official quote from google: The offline maps feature for Android is also no longer available. Instead we’ve created a new way for you to access maps offline by simply entering “OK Maps” into the search box when viewing the area you want for later. Finally, My Maps functionality is not supported in this release but will return to future versions of the app. People who want to create powerful custom maps can still do so with Maps Engine Lite on desktop. to cache a map (offline maps), zoom to the area you want, and type "ok maps" into the search box, then hit enter or the search button and it will download. strange but that's how it works. My wife and I have a Verizon galaxy s3, she got the update but I haven't yet. Checked it several times but still not for me yet. I didnt notice the change till I was driving and was looking for a particular street. I used to simply touch 'Navigation' to bring up Maps and then select 'Map' so i can get close look of the street i am on along with street names as they pass. With the latest update that is completely gone. Google Maps 'Navigation' feature had replaced my need for a GPS unit in my car. Now with the update, I have to begin using a GPS again. I think the new Maps interface does look clean but for me I need the older feature. I also use it when there is construction work, a wreck or just heavy traffic driving in town (i dont bring up Maps and punch in 'Home' when im driving from work to home, who does that, really). When traffic is stopped and not moving, i could bring up Navigation, zoom out to find an alternate route through a neighborhood and boom, im on my way again. It was awesome to have current maps plus be able to navigate them. I can sorta do the same thing but when i start to drive it automatically zooms way out and i can only see major road names. Then there is the issue of Latitude. I do use Latitude since its an easy way for me to get navigation direction to a family member or friend. I liked Latitude since I didnt have to sign up for another stupid social anything. I just sent a request and accepted a request. I didnt have to make myself more prominent online. Now Google is telling me "If you want to use our features you have to become sociable with people you dont know so you can keep in contact with friends and family", I call Bull$h1+. Is this a sign of things to come from Google? If you want to use any features you must sign on to Google+? Perhaps the mark of the beast will be a plus sign, hmmm, and you didnt beleive those 'crazy people' that were telling you Google was evil... The last part of my review is pretty harsh on Google. I do like Google but you just cant force people to become sociable online. Its not safe, its stupid and of all people and organizations Google should know this already. I havnt enen talked about Google talk being replaced by hangouts. Its annoying that intead of upgrading the iOS version to look like the Android version, the Android version was downgraded to the iOS version. Get it fixed Google.